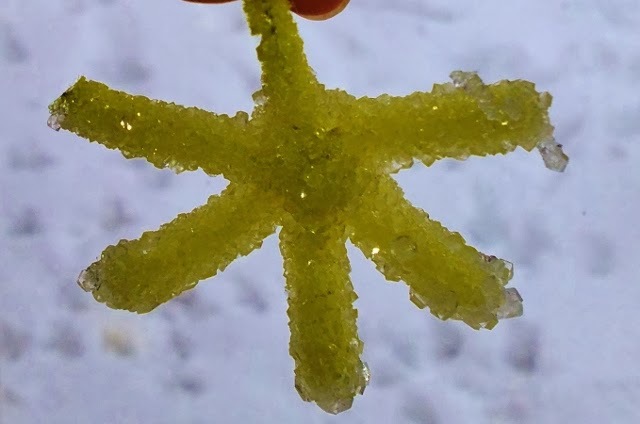 I mentioned making Borax snowflakes on an earlier post. 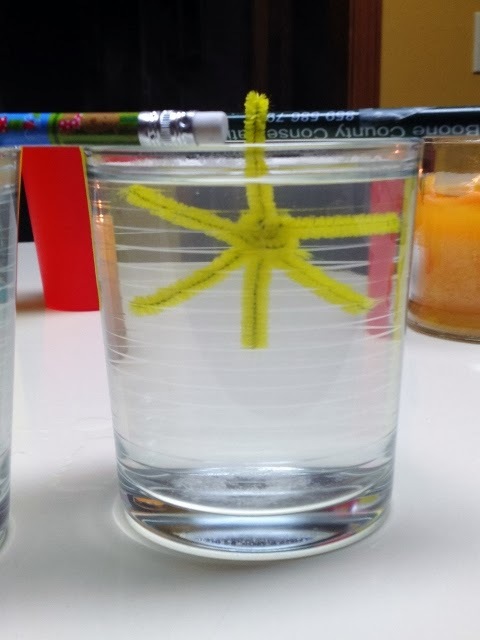 This is a great, easy and fun craft/science experiment for kids to do. But you don't have to limit it to snowflakes. My kids made a variety of shapes. 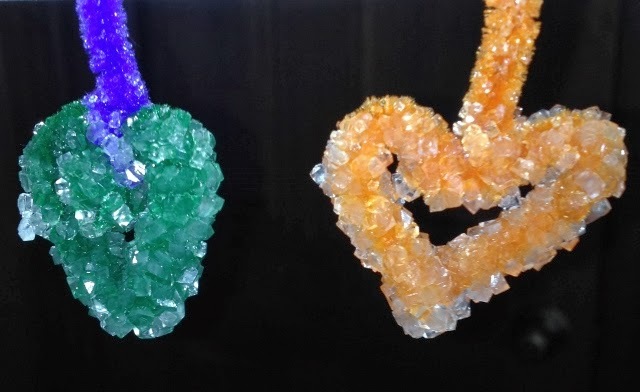 What is neat is the final product is a hard, glass-like substance, so these are really cool for gifts. 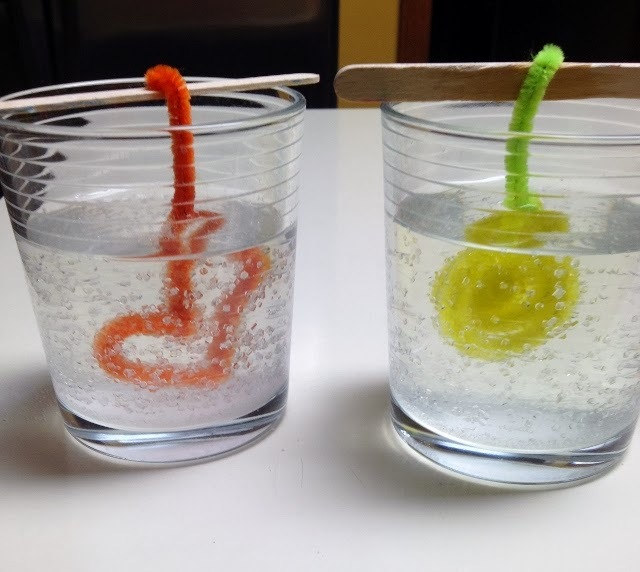 *Since this activity uses boiling water and Borax (should not be ingested), please supervise children! 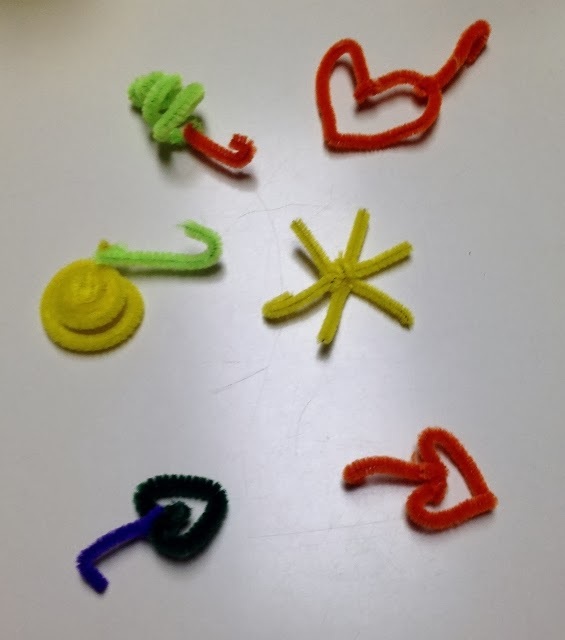 After gathering materials, shape pipe cleaners in various shapes. 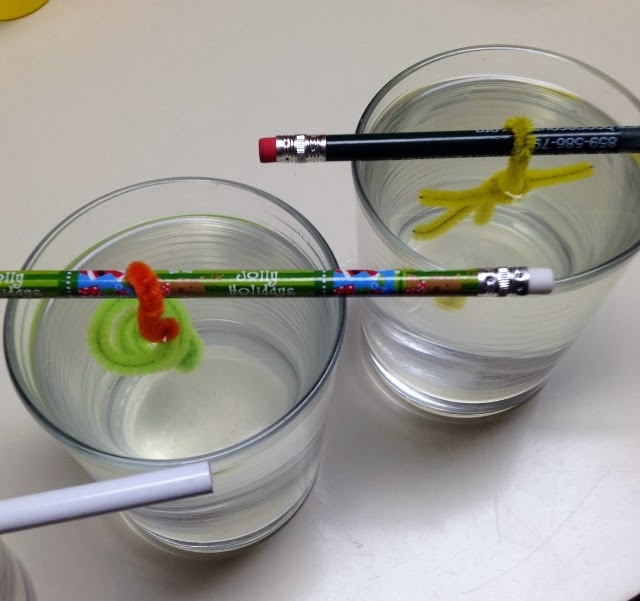 Let your kids be creative--just make sure that it can hang from a pencil inside the mug without touching the sides. Make sure to add a hanger. 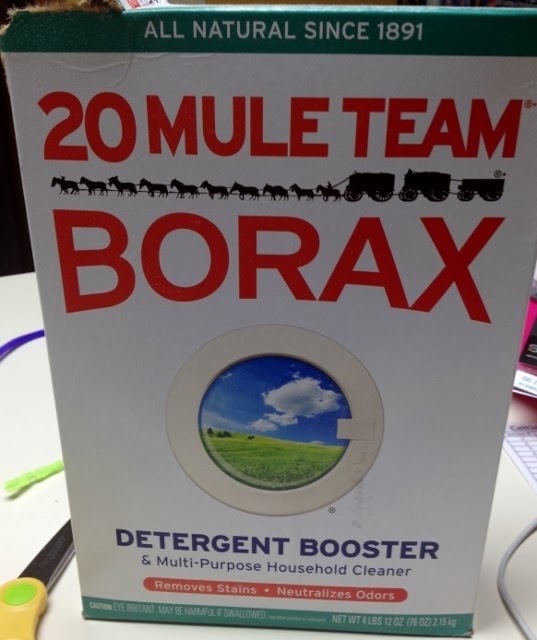 Measure about 4 tablespoons of Borax into a mug and add boiling water to fill. Mix, dissolving the Borax. 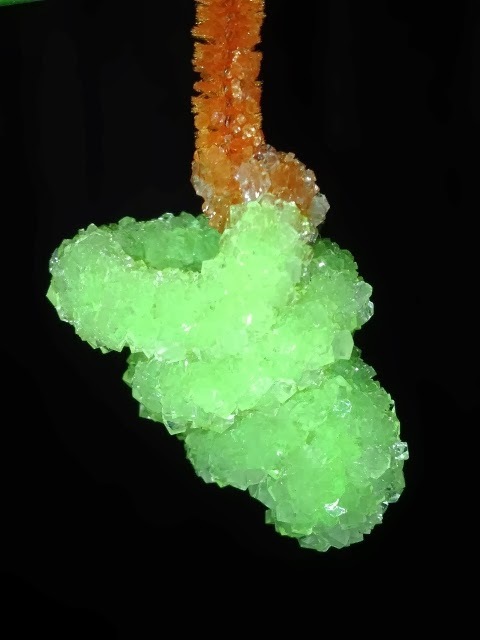 If you want colored crystals, add food coloring at this time. 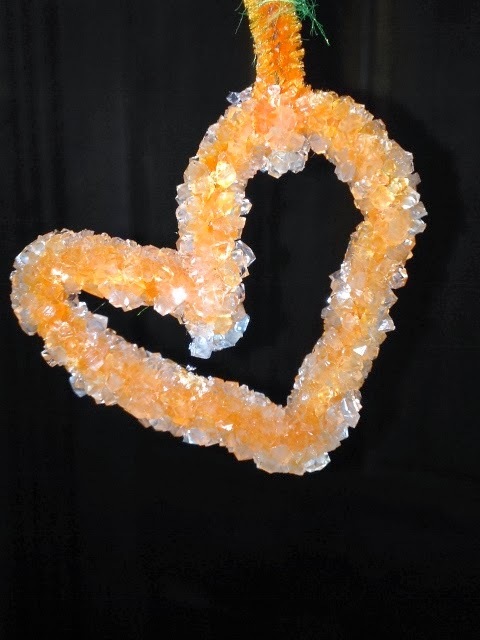 We used colored pipe cleaners so we did not make colored crystals. Hang creations in the mixture from a pencil or Popsicle stick across the top of the mug overnight. In the morning, crystals will have formed on the creations. Here are some of our final creations!